Note that computers and powered USB hubs can only provide 500 mA so it is necessary to use an external power supply. I have choosen to use a cheap mobile phone charger that gives me 5V@1A. To be able to get good performance is it good to have a fast SD card so I bought a 8 GB ScanDisk Ultra(200X) SDSDU-008G-U46. It is possible to have smaller cards(minumum size is 2GB) but you probably want to have a larger SD card if you want to build something. Verified peripherals can be found here: RPi_VerifiedPeripherals. The installation is quite simple, just write the image file to the SD card. 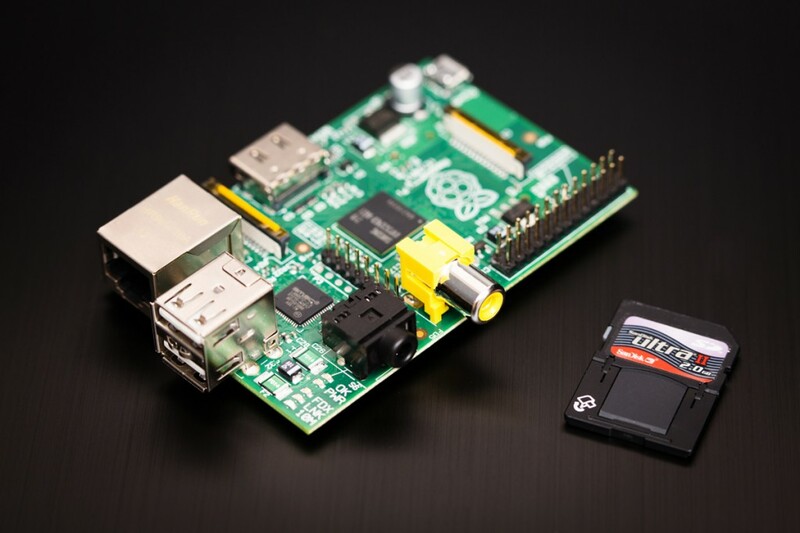 The Raspberry Pi have a very good GPU that can be used for decoding movies. This tutorial will use OMXPlayer which is a command line OMX Player for Raspberry Pi. Since the CPU is not so good in the Raspberry Pi must we use this player if we want to be able to play video files, without dropping frames during playback. The OMX Player has support for decoding H264. It is also possible to buy licences for decoding MPEG-2 and VC-1 licences from the Raspberry Pi Store. OMX Player(omxplayer) is already installed in Raspbian so the tutorial below is only needed of you want to learn how to build omxplayer on the Raspberry Pi. I have created a fork of omxplayer since I wanted to fix the makefiles so that I can build omxplayer on Rasbian. My fork also include support for controlling the omxplayer through sockets instead of using only keyboard input. 1. Increase the memory that can be used by the CPU. 2. Create a large swap-file. The omxplayer is now installed so we can now start to use it. To be able to transfer sound from the Raspberry Pi to the TV must we use option "-o hdmi". The socket api is itself not enough if we want to control the video player remotely, since we don't have the ability to start omxplayer. Tux Media Center(TMC) has support for selecting which file we want to play, by using a multi platform(Web) GUI and it has support for using the Raspberry Pi to play video files. The Raspberry Pi has support for CEC and one thing that can be quite useful is the ability to set the Raspberry Pi as active source, i.e. the TV(must have CEC support) will automatically switch to the HDMI source that the Raspberry Pi is connected to. It is also possible to tell the TV to enter standby mode. We will use libCEC from PulseEight.